This media briefing has been written to provide context and some additional technical information to explain the recent involvement of a group of British cave rescue divers in the ongoing cave search and rescue incident in northern Thailand. Please note, at this stage, it is BCRC policy not to name the cave rescue divers, in order to protect them from press enquiries and to allow them to get on with their difficult task without distraction. Initial press reports announced that a group of twelve boys, with their coach – a local, youth football team, had gone missing in Luang Nang Non Cave, Chiang Rai province, northern Thailand on Saturday (23rd June). The bicycles and personal belongings left at the entrance of this popular tourist cave were evidence that they had chosen to explore this cave. Luang Nang Non cave is prone to seasonal flooding during the monsoon season, which commences this month and persists to August. Indeed, heavy rain led to the boys being flooded into the cave as early press reports described (e.g. The Guardian). A substantial search and rescue effort has been mobilised by Thai civilian and military authorities but continued heavy rains have hampered efforts to access and search the cave system (e.g. BBC Asia News). Thoughts are very much of those unfortunate boys and their coach trapped underground and distraught family members waiting above. British cavers have a long history of overseas cave exploration and surveying (see RGS magazine; Geographical ). This is certainly the case for Thailand where, over many years, British cavers have helped to catalogue, survey and describe a considerable number of caves (re: Further information), given that there are only a few, independent cavers and guides based locally. Many British cavers, including specialist cave divers, active on such expeditions, also serve as volunteers in cave rescue teams across Britain and Ireland and bring with them valuable knowledge of the layout of overseas cave systems. This provides the context to help explain the recent involvement of British cave rescue divers in the ongoing cave search and rescue incident in Thailand. BCRC Diving Liaison Officer, Chris Jewell, has provided the following, additional information on the events leading up to the involvement of British cave rescue divers in the search and rescue efforts. BCRC received a request for assistance regarding the cave rescue incident in Chang Rai from the Thai authorities earlier this week. Three qualified and experienced cave divers, part of the BCRC overseas diving rescue team, flew from Heathrow Airport at 21:30h GMT on Tuesday for Thailand, to assist with the rescue efforts. This team has taken some specialist cave diving rescue equipment (divers switch block; Heyphone sets) which was delivered to Heathrow in time for their flight, following the welcome assistance of Derbyshire Constabulary and other Police forces. Thai authorities remain in full control of the rescue effort with the UK team working alongside the Thai rescuers to complement their skills. Cave diving rescue requires specialist skills and equipment which the UK team is able to offer to the Thai authorities. 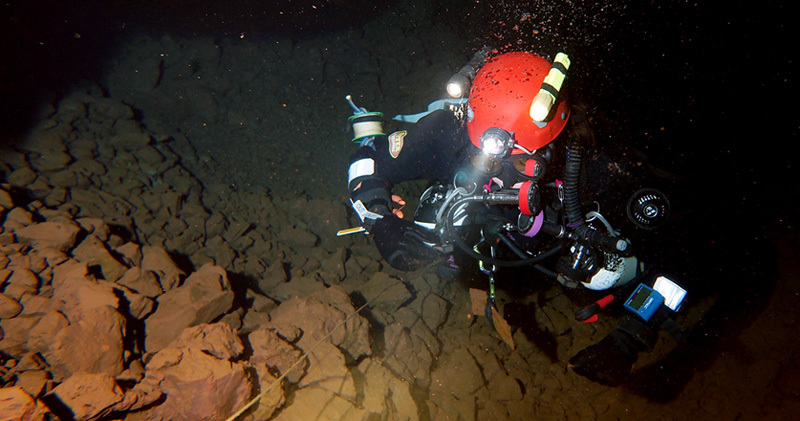 This includes the ability to conduct cave dives in low visibility conditions and in small passages. BCRC has no additional operational details regarding the nature of the rescue and UK media should please direct their enquiries to the Thai authorities in charge of the search and rescue effort. British Cave Rescue Council – The BCRC formed in 1967 as a co-ordinating (not governing) body to represent and support its member underground rescue teams at National and International level. Individual cave rescue organisations remain entirely autonomous and independent. BCRC promotes the exchange of information between member rescue organisations, disseminates specialist information, conferences, technical workshops, facilitates the development of specialist rescue equipment, overseas the cave rescue team peer review scheme and is the national point of contact for enquiries regarding cave rescue. BCRC provides a common voice for the member teams, serving as the national-level contact with national (British Caving Association, British Cave Research Association, CDG, Cave Radio & Electronics Group and EUG) and with overseas and international cave rescue bodies (European Cave Rescue Association, European Speleological Federation/ Cave Rescue Commission). It is also the cave/ underground rescue contact with UK Search and Rescue (UKSAR), government departments, other national SAR organisations (e.g. Association of Lowland SAR, Mountain Rescue England and Wales) and emergency services (e.g. police, fire services). 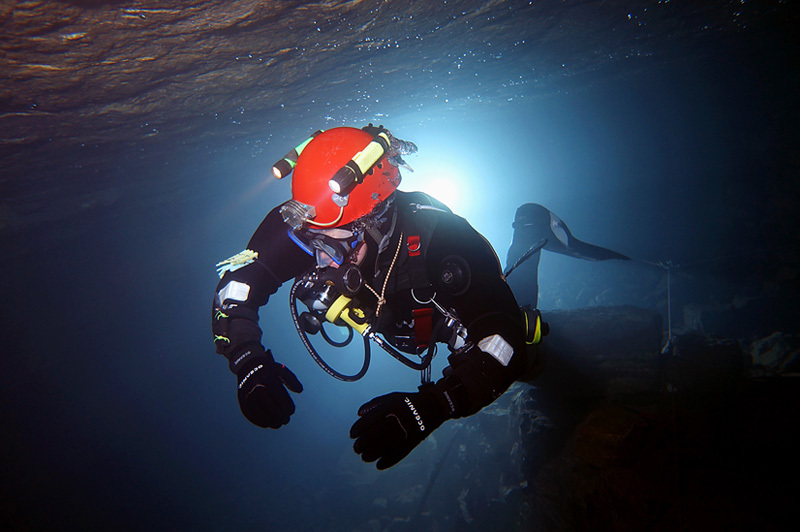 Established in 1946, the Cave Diving Group is the representative body for Cave Divers in Great Britain and Northern Ireland. Its function is to educate and support cavers for recreational and exploratory operations in British sump conditions. This is the definitive guide to caves and caving in Thailand. NOTE: The author has requested NOT to be contacted by the media in connection with the current cave rescue incident. Although superseded by other underground communication systems, is a robust, portable ‘radio’ system for voice communication from underground chambers and passages to a surface receiving and transmitting set, ideally positioned vertically above the underground set, with two aerial cables extended in the same orientation above- and below-ground to optimise signal strength. This allows vital information on the progress of a search, rapid news of contact with missing cavers and requests for rescue equipment and supplies required underground to be quickly communicated to the surface and relayed by conventional radio sets to the rescue co-ordination team.